The original and bestselling leadership book! Sun Tzu's ideas on survival and success have been read across the world for centuries. Today they can still be applied to business, politics and life. 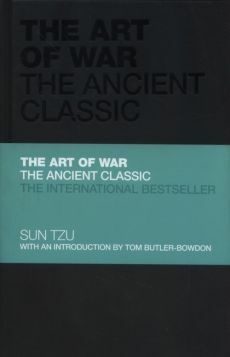 The Art of War demonstrates how to win without conflict. It shows that with enough intelligence and planning, it is possible to conquer with a minimum of force and little destruction. This luxury hardback edition includes an introduction by Tom Butler-Bowdon that draws out lessons for managers and business leaders, and highlights the power of Sun Tzu's thinking in everyday life.